​Need an Affordable Towing Service in Toledo OH? We at Toledo Towing Service work overtime everytime so we can serve you. We are a professional towing company servicing Toledo Ohio and surrounding cities like Maumee and Perrysburg. Give us a call for a quote and for all your Towing needs! We realize that when you are stuck on the highway or the side road , all you want is a fast and speedy response so you can resume your drive to your destination. Our drivers are well trained to find the problem fast, fix it as quickly as possible and get you back on the road. 1. Our dispatchers work 24 hours a day. Whether you are stranded in the middle of the night or you need an early morning tow truck service we are available around the clock. We provide 24/7 towing service because we know what it feels like if your car gets stalled at night on a cold street corner. 2. We provide reliable services. 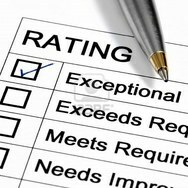 Jays Towing also offer these, but we claim to be the best in ALL of these!! 3. We service the entire Toledo area. 4. We have a large, diverse fleet. We have a fleet of tow trucks designed to meet the different needs of our customers. So whether you need a motorcycle, Fiat, Raptor or minivan towed, we can get it done. Your vehicle broke down and you’re miles away from an auto repair shop? Never sit around for hours waiting for an unreliable towing company to come to the rescue. 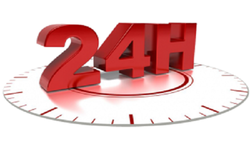 Our experienced towing experts and tow trucks are available 24 hours a day, seven days a week. We can also work with your insurance and take your car directly to our service center. You can be rest assured that we are your top local towing service in Toledo Ohio. Out of dozens of tow companies, our tow truck garage provides the best and most reliable car repair center.